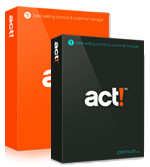 Act4Advisors.com, Act4Advisors, ACT! Contact Management Software, Contact and Customer Relationship management software, CRM for financial, Financial CRM, ACT! CRM Software, Practice Management Solution, FSC Practice Management Solutions, Practice Management Software, CRM for Financial, ACT! for Financial Advisors, client and contact management software, crm software, asset allocation software, portfolio management software, financial planning software, registered reps... Contact Management Software. ACT! Contact Management Software for Financial Advisors.